The links among Albanian drug traffickers and Calabrian mafia known as Ndragheta are already a fact. 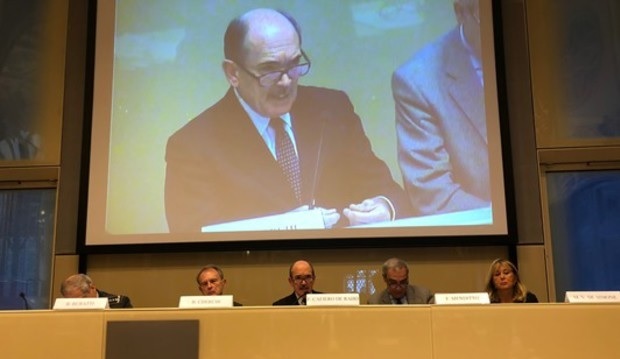 This was confirmed by the chief prosecutor of the Italian Anti-Mafia, Federico De Raho, at a conference with Italian prosecution structures. "The Mafia has now turned into an unlimited estate venture that affects our economy," the Italian chief prosecutor said in Venice . In his speech, Albanian traffickers were mentioned as an important part of the largest criminal organizations in Italy. "Ndrangheta controls a vast economy through cocaine traffic that reaches here in tons from southern America and enters in Italy through the ports of Livorno, Gioa Taura, Naples and Salerno, but also through the Adriatic ports in Albania." De Raho said that "Italy faces a bourgeoisie mafia who deals with incalculable amounts of money with professionals, accountants and lawyers who are become their refined minds."